ADMIRAL Ray Bass achieved his rank in – the Texas Navy the hard way. He built his own submarine to explore the 20-ft. depths of the town lake of Corsicana when the city fathers forbade skin diving. The $100 sub took three months to build with volunteer help. A six-volt motor and six-volt car battery power Turtle II for 45 minutes running time submerged. A 7-1/2 hp outboard motor is used on the surface. The conning tower is a scrounged 20-in. section of steel pipe; the $17.60 hull is a 750-gallon Army surplus hot water tank; portholes are sealed by old inner tubes. This one-man navy runs on sheer nerve! 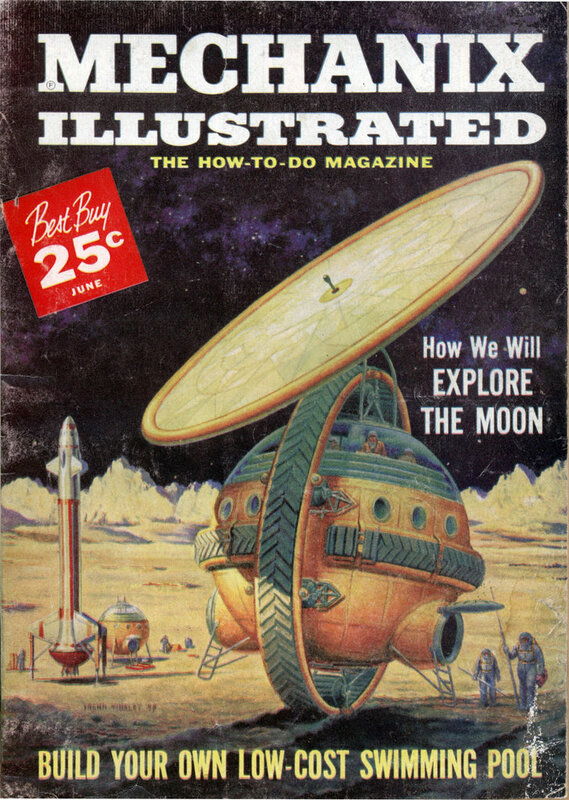 I think an ‘Aquatic’ section needs to be started for this and all those other bizarre and crazy-dangerous devices for submarine exploration. Ther should a separate section for things below the waves. 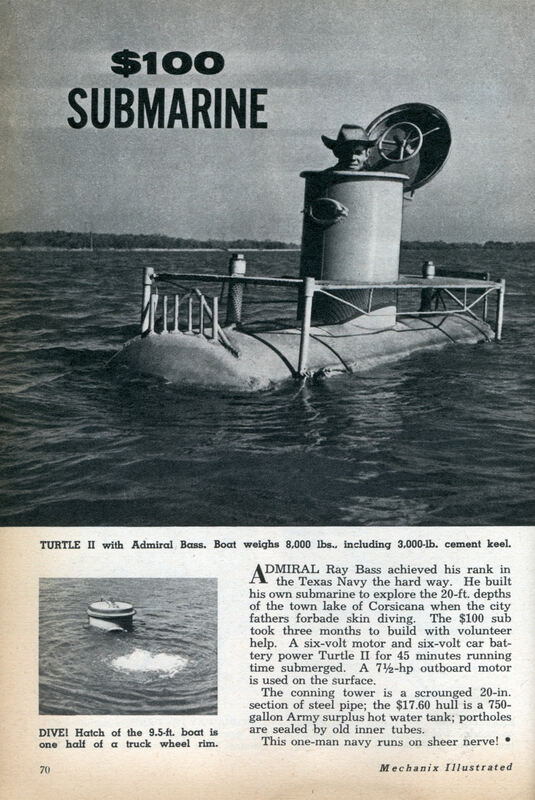 I just bought a WWII era homemade sub from a guy in Ennis Texas (20 mi north) I wonder if it is the Turtle I? Zimmy- whatever are your plans for it? I really don’t know. I think I’ll fix her back up. The old girl has been outside for 40 years and is in rough shape. Sorry about the delay answering. I’ll be back sooner next time. Zimmy – Could you Email a picture of the sub you bought to me? I’m trying to track down the Turtle II. Thanks! My Email address is [email protected].